So hungry I could eat a... horse? There's been a lot of talk about it in the media of late, and for good reason - horse meat has somehow found its way into processed meat products, and people have been unknowingly been eating it for months. 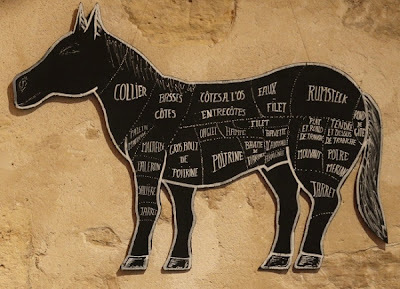 In the general furore that's sprung forth from the discovery of horse meat in the food chain, there's something that's not particularly been touched on: all moral and cultural objections aside, is horse meat any good for you? Horse meat is eaten in numerous countries throughout the world, being considered a delicacy on various European and Asian dinner tables. Horse is classified as a red meat, the same category to which pork and beef belong. For the purposes of comparison to meats we're more familiar with, let's look at the nutritional composition of horse vs. both beef and pork. Horse meat contains similar levels of protein to both beef and pork, and is considerably lower in both total and saturated fats. For people watching their fat intake for the purposes of weight maintenance/weight loss, for concern over cardiovascular disease, or for any other reason, a lean meat such as horse actually makes a healthy choice. Horse meat contains significantly higher levels of iron than either beef (nearly double) or pork (nearly five times as much). Iron deficiency is a common problem, particularly in women of child-bearing age, and can lead to iron deficiency anaemia. Sufferers of which are troubled by symptoms of tiredness, fatigue, breathlessness and pallor (pale complexion). Sufficient dietary intake of iron can be difficult to achieve, and people are advised to eat foods rich in iron to ensure they meet their requirements. Horse clearly tops the table with the three red meats considered here, but other options include offal, fortified breakfast cereals (check the nutrition label!) and dark green leafy vegetables. Athletes are often recommended to eat high quality sources of protein, minimise excess fat (being active doesn't completely guard against all diet-related diseases! ), and have adequate nutrients to support their bodies in coping with the demands their training places on it. Iron deficiency can be debilitating to an athlete, so it is essential that they consume sufficient iron to prevent he onset of a deficiency. 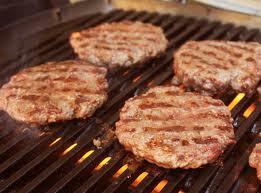 Horse meat - high in protein and iron, and low in fat, fits quite nicely into this description. Something to think about. Looking beyond nutrition, there has been a well publicised concern over unregulated meat in our food - the issue of drug contamination. Bute (also known as phenylbutazone) is a painkiller. It belongs to the family of drugs known as non steroidal anti-inflammatories (NSAIDs, he same group as ibuprofen). It is commonly used in horses and dogs, for the purposes of treating pain and reducing fevers. It was once commonly used in humans, and remains a prescribable drug for human use. It is not frequently used however due to serious side effects - the drug is known to cause damage to the blood, and can lead to bone marrow failure. Whilst rare, this serious side effect was enough for the drug to be withdrawn from common use - it is now only prescribed under close supervision and where all other options have failed. So clearly there is cause for concern if bute has contaminated the human food chain. But - and it's quite a big but - based on the results of testing carried out by the Foods Standards Agency, you would have to eat a rather large quantity of horse meat in order to consume the lowest known dose to cause an adverse reaction in a human. The lowest known dose of bute to cause an adverse reaction in a human is 200mg of phenylbutazone, administered as a single dose. Of the sources tested thus far, the highest level of bute found in a horse carcass is 1.9mg per kg of weight. Taking the lowest dose - 200mg - as a baseline, you'd have to consumed 105kg of horse meat to take in 200mg of bute. And that would be an awful lot of burgers. About 920 quarter pounders in fact. 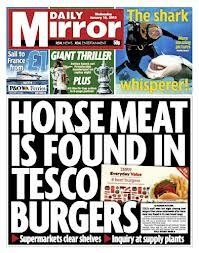 So is eating horse meat something to be worried about? From a nutritional point of view, no. Horse meat is lean, high in protein and provides a useful source of iron and calcium. From a pharmaceutically contaminated point of view, perhaps. But where bute is concerned, probably not. As for ethically and morally... well, the choice is yours. Fasting - From Now Until..? I've done a fair bit of reading about fasting diets. Both from research literature, popular texts (there are a few in the bookshops at the moment! ), and also online. Lots of people have things to say about fasting, and it tends to take one of two forms. 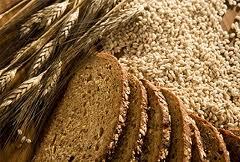 Fasting is either the best thing since sliced bread - take that Atkins! Or it's yet another example of a terrible fad diet, with claims that it can cause anything from bad breath to disordered eating. But there's something that, in general, is missing from all of these commentaries. And that's the focus of this post. In my first post on the topic, I hope I gave you a reasoned explanation of what the diet is and how it works. But there is one more thing I'd like you to consider before embarking on this, or indeed any other 'diet'. My question is this - how sustainable is intermittent fasting/calorie restriction? Can you honestly say that it's something you can keep up for life? Or, in fact, do you need to? If you undertake a fasting diet as a means of weight loss, what happens once you've lost the desired amount of weight? At the moment, there is a distinct lack of evidence on how these diets work in the long-term. Particularly so with regard to human studies. So anything you read about long-term sustainability and maintenance of weight loss is likely to be based on speculation. And sustainability and maintenance of your new weight are rather important. As with all diets, there is a fundamental issue that rears its ugly head: here’s the scenario – it may well be familiar. You follow the plan, you obey the rules and lose the weight. Congratulations! But now what? You can stop following the diet, right? Go back to eating ‘normal’ food, every day? And watch the weight pile back on. This problem is common to an awful lot of diets. People in general are quite good at losing weight, but not so accomplished at keeping it off. This isn’t an issue specific to fasting diets, indeed we’ve already recognised a lack of long-term studies. But there’s a fairly logical thought progression that says fasting diets, as with other diet plans, if discontinued, will cease to be effective. So how can you maintain the lost weight? At the risk of sounding rather dull - it comes back to the fundamental concept that you need to eat a healthy, balanced diet. That’s not to say don’t follow a diet, by all means, try it if you will and if it’s safe for you to do so. But learn from it. Fasting diets can teach you several things. Firstly, hunger is a natural sensation – it lets us know when we are actually in need of food. There’s nothing wrong with feeling hungry now and again. Embrace it, and learn to listen to the cues from your body. Secondly – and perhaps most importantly – the fasting days might put portion sizes into perspective. 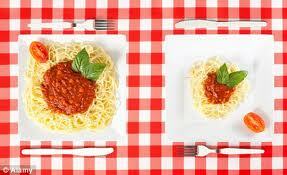 Portion sizes, more often than not, are the culprit in weight gain. Eating anything in excess, including fruit and vegetables, can lead to weight gain. By fasting you may come to realise that you don’t need to eat quite as much as you think you do, or are accustomed to. Thirdly, be mindful when you are eating. It’s very easy to pop things into your mouth without thinking about it, or eat whilst distracted. And mindless eating is a guaranteed way of exceeding your energy requirements, thus leading to weight gain. 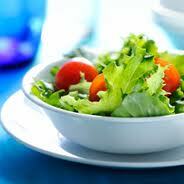 Fasting days demand attention to your diet if you are to stay within your strict calorie allowance. If you are able to apply that same mindfulness to your eating behaviour in general, you are more likely to remain in control of your diet and with it, your weight. It’s a question that’s been raised to me by a few people – can you combine a fasting diet with training for a sport? Well yes, you can. But it requires some thought. It is possible to continue training and follow a fasting/calorie restriction diet. You just have to be sensible. Planning a long run in marathon training for a fasting day simply isn't clever, nor is getting into the pool if you know you tend to feel light-headed on a fast day. So for your reading pleasure, these are some of the things you need to think about/consider. Train early - if you're used to exercising first thing in the morning, then make the most of the previous day's intake and train early. Your energy stores will be somewhat depleted by the overnight fast (also known as sleeping...), but less so than later on during a day of fasting. Train late - if you simply can't face the thought of training on an empty stomach, wait until you've had something to eat. This depends on how you disperse your calories during your fasting day - if you spread them throughout the day, then it probably doesn't matter when you train - your exogenous (from food you've eaten) fuel levels will be consistently low. If you still have a 'main' meal during which you eat the majority of your day's calories, perhaps consider training a little while after that meal. Hydrate - fasting encourages the utilisation of stored energy, and this process often also involves the elimination of stored water. Avoid dehydration by drinking regularly throughout the day - this may also help to stave off hunger pangs, and is essential for enabling quality athletic performance. 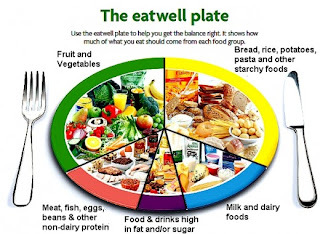 Eat well - If you have a poor quality diet in general, then the further restriction on fasting days could simply lead to nutrient deficiencies and poor health - less food = less calories, but it also means less vitamins and minerals. It’s important the you make up for the fasting days by eating nutritious foods on your feeding days. This is particularly important if you are stressing your body with training. Be clever in scheduling - it simply makes sense to plan your most intense training days to coincide with 'feeding' days. You can exercise on fasting days, but it's likely to be a less than optimal performance. It may feel like you're giving it 100% (and you may well be), but 100% on a fasting day is unlikely to resemble 100% on a feeding day. It feels hard because your body is struggling, and you're less likely to experience the gains you would expect from a well-fuelled training session. Refuelling? It's difficult to refuel properly on fasting days, and it's worth bearing in mind that refuelling isn't just about replacing spent energy, but about feeding your muscles so they can recover from your workout. It's what happens in this recovery phase that determines the benefits you see from your training - becoming faster, stronger, developing stamina - all are affected by recovery. Another reason not to plan intense training days to coincide with fasting days. Don't fast on race day! Let common sense prevail - if you're racing, give your body the fuel it needs. First things first, real fasting involves abstaining from all food and drink. Various plans over the years, including detox diets, have advocated fasting, the more sensible of which allows for fluids. These newly arisen fasting diets don’t advocate anything as extreme as avoiding all food and drink, but instead involve a significantly reduced calorie intake on ‘fasting’ days – usually a maximum of 600 kcal for men, and 500 kcal for women. So this diet essentially advocates days of significant calorie restriction rather than actual fasting. But they use the term fasting, so I’ll stick with it for the sake of clarity. The frequency of the fasting varies depending on what you read, but usually takes the form of either alternate day fasting (fasting every other day) or fasting on a 5:2 ratio - the latter involves fasting for two days per week. Both forms of the diet can be considered as intermittent fasting. The pattern of the diet is variable – the frequency of the fast, as already said, varies depending on what plan you follow. 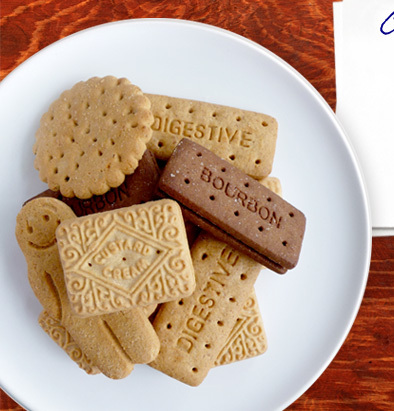 Whichever it is it, the fast days involve restricting your calorie intake quite dramatically. The general advice around calorie intake per day is 2000 kcal for a woman, and 2500 kcal for a man. Now, these are far too general to be of real use to the individual (but that’s another story), but do give us some indication of the rough energy intake that’s considered the norm/common. And it does give you some indication as to just how much of a calorie restriction you’re expected to follow on an intermittent fasting diet. Let’s take a 500 kcal fast as an example. What do you get for your calories? The answer, unsurprisingly, is not a lot. But it very much depends on how careful you are with your calories as to how much you have to eat. For 500 kcal you could have a couple of slices of toast and peanut butter, and a Mars bar. And that’s it. Or you could have a couple of scrambled eggs for breakfast, a bowl of tomato soup and a salad at lunch, and a bowl of vegetable and lentil stew for dinner. This diet requires thought and preparation, and some knowledge and skill. And a liking for vegetables will certainly help. Essentially, the diet involves days of calorie restriction. And when you restrict calories to a level below that which you use, you create a deficit which leads to weight loss. It’s fairly basic maths. However – and there’s usually a however with diets – there are drawbacks. Hunger. As a society we’ve got used to being surrounded by food. For most of us there’s never any need or desire to allow ourselves to feel actual hunger. It’s not a pleasant sensation, but it is a natural one. It lets us know when we need to eat – not a drawback as such, but something to be aware of! Fasting can affect your mood – don’t be surprised if you find yourself feeling just a little bit grumpy on your fasting days. Low energy consumption can lead to low energy levels – on fast days, you may find you feel tired and struggle with normal activities. Following on from the above, if you exercise or are training for a sport you may well find your efforts feel that much more difficult than usual. By fasting you are essentially depriving your body of fuel, and the extra demands of being active may be one step too far for your dwindling energy levels. Fasting affects hunger hormones, causing a down-regulation of appetite. So after a few days of fasting you may find that you’re not bothered as much by feelings of hunger. However, on non-fasting days you may find that there is a rebound increase in the hunger hormones, stimulating a greater appetite than you would normally experience. This can lead to bingeing and overeating – and the excess calories eaten on non-fasting days can sabotage weight-loss. Fasting has an effect on your metabolic rate – low energy consumption causes a down-regulation in how much energy our bodies use, so whilst you may be eating less, your body is also using less. This down-regulation can linger even when you return to your normal diet, so it’s quite possible that you will gain weight on returning to a normal eating pattern. However – yes, there’s another however – these diets are not well studied. The known effects of fasting/very low calorie diets are usually applied to periods of extended fasting/calorie restriction. How these transfer to intermittent calorie restriction is not fully understood – and whilst that’s not necessarily something to deter you from following the diet, it is something to be wary of. The long-term consequences of this diet are simply not known. There are different ideas about what and how you should eat on non-fasting days. Should you eat ‘normally’, that is, stick to whatever dietary pattern you usually follow? Or can you splurge – reward your virtuosity for sticking to your calorie restriction, and devour anything and everything you desire? Research into these diets advocates that you should maintain a healthy balanced diet on your non-fasting days. You need to get in the nutrients you’ve missed out on during the fast, and an excessively high calorie intake on your ‘feed’ days can sabotage any efforts on your ‘fast’ days. So whilst you may want to eat nothing but cream cakes and pies, try and stick to balanced meals and snacks. And remember there’s nothing wrong with cake and chocolate, in moderation. In addition to the potential for weight loss, the fasting diets also seem to confer other benefits to general health. In the few studies that have been published on these forms of dieting, improvements in various health markers were noted, including cholesterol and blood glucose. Calorie restriction has been studied for years, with the focus being on its effect on longevity – and the findings suggest that there are benefits to be had. In addition to a reduction in levels of IGF-1 (insulin-like growth factor, a compound responsible for the ageing process), cholesterol and blood glucose are reduced, and with these so are your risks of cardiovascular disease and type 2 diabetes. There’s always a last word to be had – is this eating pattern to be recommended? It’s hard to say. 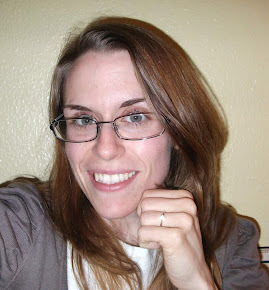 As a dietitian I like to work from evidence – high quality, rigorous evidence. And in the case of Alternate Day Fasting, 5:2 fasting, or any other configuration of calorie restrictive diets, the evidence just isn’t there yet. The studies that have been published are promising, but there are some questions yet to be answered – what pattern of restriction works most effectively? How should you eat on non-fasting days? What level of calorie restriction is most effective? Perhaps most importantly you need to consider how sustainable this eating pattern is. 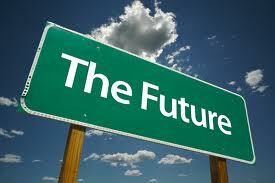 Do you just adhere to the plan for a finite period of time for the purposes of weight loss? What happens when you reach your goal? Do you revert back to your previous diet, which was probably responsible for your weight/cholesterol/etc. in the first place? Sustainability in diet and lifestyle is key to life-long health, and is intermittent fasting/severe calorie restriction sustainable? A word of warning – if you are diabetic, pregnant or breast-feeding, DO NOT follow this diet plan. It’s also strongly contraindicated if you have a history of eating disorders. If you have any other health conditions, be safe and check with an expert before embarking on this (or indeed any other) diet. Runner’s trots, runner’s tummy, jogger’s bowels (I may have made that one up…) – whatever you want to call it, the issue of bowel disturbances as a consequence of running (and indeed other forms of exercise) is something that troubles a lot of runners – up to 70% of regular exercises have reported problems with diarrhoea, bloating, cramps, flatulence and nausea. The extent of the problem can vary dramatically between people, from a touch of nausea after a run in some, to I Must Find a Toilet THIS INSTANT! severe diarrhoea in others. It can ruin training, scupper races and put people off being active. So what causes it, and what can you do about it? Identifying the cause of a problem is the first step in finding a solution. And in the case of exercise induced gastrointestinal disturbances, there can be several causes. When you undertake sustained activity - typically 60 minutes plus, several things happen that can affect the way your gut works. Firstly, when you start exercising, the way the blood flows through your body changes. The oxygen demands of the working muscles increases, and to meet this demand blood flow to the gut is reduced. And the longer you are active for, and the more intense the exercise, the greater the degree of the reduction in blood flow to your gut – some research has indicated that the reduction can be as much as 80% of the normal blood flow. When blood flow to the gut is reduced, the motility (movement) and rate of absorption from with the intestines is affected. Movement through the gut becomes more sluggish, and ingested foods/drinks are more poorly absorbed than would be normal. This can cause GI symptoms including cramps, nausea, vomiting and diarrhoea – the typical problems we call Runner’s Gut (I may have made that one up too…). Secondly, exercise can cause dehydration. Dehydration further reduces the flow of blood to the gut which can further exacerbate GI symptoms. Thirdly, you get hot (even in British summer conditions! ), and this - guess what! further reduces blood flow to the gut . So lots of things going on in the way the gut is working. When you consider putting something in to be digested – a gel, jelly babies, malt loaf, pork pies (or whatever your refuelling snack of choice happens to be) there's obvious scope for exacerbating tummy trouble in a system that’s functioning well below the optimum. However - and here's a key thing to remember - one of the best ways to increase blood flow to the gut and to reduce some of the problems of dehydration, is to keep stomach volume relatively high. The more there is in the stomach (up to a point - you don't want to be gorging yourself!) the greater the flow of blood. The easiest way to keep stomach volume high and to reduce the effects of heat stress and dehydration is to drink. Water with added electrolytes as a minimum, but adding some carbs in will obviously help to keep energy levels up (either a sports drink or gels/dilute fruit juice/similar along with some water). If you do want to take on carbs - recommended for activity lasting 90 minutes or more - then you need to practise and train the gut to tolerate whatever it is you do to refuel. The foods we eat are an obvious area worthy of investigation when it comes to tummy troubles. There are some usual suspects, but the effect they have on people will vary – so some detective work is needed. The easiest way of doing this is to keep a food and symptom diary. You should soon be able to see a pattern if your symptoms always occur after eating a particular food. Fibre is good for you. It typically comes in nutrient rich foods – wholegrain cereals, nuts and seeds, fruit and vegetables, it helps you to feel full, can help to lower blood cholesterol, and it’s good for the bowels. When you combine a fibrous diet (which gives the bowel a lot of work to do) with activity that reduces the efficiency of the bowel, then you’re almost setting yourself up for a problem. This won't apply to everyone - some people seem to be immune to tummy problems - but others will do well to avoid high fibre foods, particularly if you already have a history of conditions such as irritable bowel syndrome (IBS). Don’t cut fibre out altogether – see above for the health benefits! – but avoid high fibre meals in the 2-3 hours before training, and for a couple of days prior to a race if you are suspicious of fibre and its effects on your bowels. It’s certainly worth experimenting to see if there’s an improvement in symptoms. Caffeine is well known for its pharmacological stimulant effects, but it’s perhaps not as well known that these effects extend to the stomach and bowels. As well as being a stimulant it is also an irritant, and it is quite common for people with IBS to be advised to reduce caffeine consumption. You don’t have to cut out caffeine altogether, but try avoiding it in the few hours before training and racing. 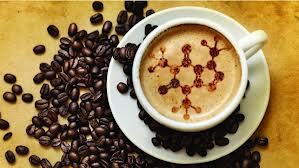 As an aside, caffeine is often consumed in the form of hot drinks, typically tea and coffee. Hot drinks are known to increase the speed of gastric transit – the speed at which things pass through the gut. Which is to be avoided if you have issues with diarrhoea! 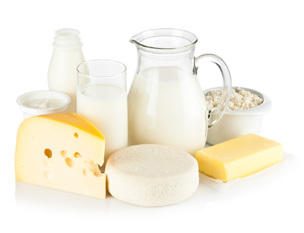 Lactose is the sugar found in dairy products: milk, cheese, yoghurt, butter, etc. It is digested by the enzyme lactase, which is produced within the small intestines. Some people are deficient in lactase, and develop symptoms such as abdominal pain, bloating and diarrhoea after eating foods containing lactose. Most people can tolerate small amounts of lactose, even if they are lactose intolerant – it takes a little trial and error to work out your own tolerance level. If you are sensitive to lactose, avoiding it before training and races is recommended. Not a term that most people are familiar with, FODMAPs (Fermentable, Oligo-, Di, Mono-saccharides and PolyolS) are forms of carbohydrates that some people have trouble digesting. They pass through the intestines and are fermented in the large bowel, causing typical symptoms of bloating, cramping, flatulence and diarrhoea. FODMAPs are found in a wide variety of foods, including apples, pears, stone fruits, honey, wheat, onions, beans, as well as in artificial sweeteners such as sortibol and xylitol, found in chewing gums and mints. It’s not advisable to restrict your intake of all of these without medical supervision – you’re likely to end up missing out on a lot of essential nutrients. Keeping a food and symptom diary can help you to recognise if particular foods are causing your symptoms, and you can use this to carefully amend your diet. It can also help a professional advise you on how to sensibly and safely control your symptoms and maintain a healthy balanced diet. Drinks sweetened with high fructose corn syrup can be particularly troublesome for some people – check food labels and avoid if you can and if you suspect this may be a source of your symptoms. Carbonated drinks can promote gas within the stomach and intestines, and this can obviously contribute to bloating, cramping and flatulence – best avoided if you suffer from GI complaints! Well known for causing tummy troubles regardless of activity, some people are susceptible to the effects of hot and spicy foods. Best avoided, especially in the days preceding race day! Another thing to consider is the mechanical 'jarring' that comes from running. Some people seem to be more susceptible to this than others, and there's a school of thought that proposes having a strong core can 'buffer' the intestines. So lots of planks and the like may help – it certainly can’t hurt! The psychological stress of training and participating in races can have an unexpected effect on the gut: you may not consciously feel stressed, but it can show itself in the bowels. This may be made worse if you’re anxious about previous experiences of Runner’s Gut and are worried about the problem reoccurring. Resolving this cause of diarrhoea/GI complaints is more complicated than simply avoiding a food – you need to relax! Find a way of avoiding the pre-event jitters that suits your lifestyle, and try not to stress about having to find a toilet or the problem will become self-perpetuating! Avoid eating in the couple of hours preceding a race. Try to regulate your bowels – the term ‘bowel habit’ is used for a reason. We can exert some control over where and when we go to the toilet, so having a routine of opening your bowels can prevent unexpected urgency! As peculiar as it may sound, give yourself time to sit on the toilet and relax without fretting! Have a warm drink and exercise lightly to stimulate the bowels before your training session or race. Once you’ve been to the bathroom, head out and go for gold! Experiment with training at different times of day if you have the flexibility to do so. Training in the evening when you bowels have accumulated the day’s food and drink may make the symptoms of exercise-induced GI problems more likely to occur. Try training in the morning, or timing a training session after you usually empty your bowels. Avoid foods you’ve identified as causing symptoms. Stay positive – if you’re new to exercise it may take some time for your body to adjust. If it’s a long-standing problem, try some of the suggestions and try not to fret too much about it, it’ll only make things worse. Locate a toilet! If all else fails, knowing where you can access a toilet can alleviate the worry of having to find one in an emergency. You may decide to try an over-the-counter anti-diarrhoeal medication, and these may certainly offer some relief from your symptoms. But take caution – regular use of such medications can promote dependence. Not in the sense of addiction, but in that your bowel will start to rely on the presence of the drugs and not function well without them. If you take them pre-emptively they can cause constipation. Medication is an occasional remedy, not a long-term solution! If nothing else, please take this on board – do not try something new on race day. No new gels, no new sports drinks, sampling unusual delights from the breakfast buffet, whatever it is: DON’T DO IT! Putting something unfamiliar into your stomach is a Very Bad Idea. If you want to use gels, sports drinks or the like, find a brand that you like and use it in training. You’ll soon know if it likes you back, or if it has you cramping and running for the toilet. A bit of experimentation is essential if you want to avoid problems on race day. Trying something new for the first time before or during an event is just asking for trouble. If you know that an event uses a particular brand, test it in your training. If you like it, great. You’ll know that you can grab a bottle/cup from a drink station and not suffer any ill effects. If you don’t get on with it, take your own fluids/gels with you. Finally – consider getting a check-up with your doctor. If you have a change in your normal bowel habits, or are concerned about any of your symptoms, it’s always best to get yourself checked by a doctor. This topic isn’t something to feel embarrassed about – be sensible and look after yourself! Let’s face, fat has had a lot of bad press. We associated it with obesity and heart disease, and reducing fat in the diet has long been the standard advice for improving health. But does fat really deserve all of the blame that is attributed to it? Not all fats are created equal - some are good, some bad and others, quite frankly, ugly. In terms of energy content, fat is fat. At 9 kcal per gram, it doesn't matter whether you eat butter, lard or olive oil - they all contain the same amount of calories. But energy content aside, the different fats have variable qualities and variable effects on the body - some are good for you, others not so good. Fat plays several essential roles in the body, from insulating us against the cold to regulating our hormone levels, we simply can’t maintain a healthy, functional body without fat. Fat is an essential fuel source for the working body, and whether you’re a first class athlete or sat on your bum all day, this is a simple fact – your body NEEDS fat. Balance and moderation, as always, are key. There are dangers associated both with having too much, or too little fat. High fat diets are associated with excess body weight, an increased risk of cardiovascular disease, stroke and several cancers. An excess intake of fat can displace other nutrients – if we eat a high fat diet, we may find that our intake of carbohydrates and/or proteins drops. When carbohydrate intake falls, our stores of glycogen are compromised. For athletes this can have serious consequences on training and competition. Triglycerides (the smaller units that make up fats) are stored in the muscles, and are an important fuel source for sporting performance. Fat is a good source of energy (9 kcal per gram), and a low intake can result in inadequate energy consumption. Fats are an important source of vitamins K, A, D and E. Eating a low fat diet can limit our intake of these essential nutrients. Low fat intake reduces the storage of triglycerides in the muscles, and so compromises this important fuel source. Fat is important in regulating several hormones, and a low fat diet can result in an altered menstrual cycle and can also effect fertility. <35% of total energy should come from fat. For a 2500 kcal diet, this is 875 kcal/ 97g of fat. Saturated and trans fats should be kept to a minimum. 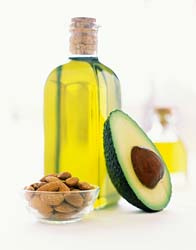 Some fats are essential - the clue is in the name: Essential Fatty Acids (EFAs). These cannot be synthesised in the body, so it's vital that they are eaten as part of the diet. EFAs are found in unsaturated fats - a family of fats that can be split further into mono- and polyunsaturated fatty acids (MUFAs and PUFAs). Both have the potential to lower 'bad' LDL (low density lipoprotein) cholesterol, whilst also raising levels of 'good' HDL (high density lipoprotein) cholesterol. MUFAs are found in oily fish, olive oil and spreads based on olive oil, nuts (including almonds, cashews, peanuts, pecans and pine nuts), sesame seeds and tahini, and avocados. PUFAs (which include Omega-3 and -6 EFAs) are found in oily fish (including salmon, mackerel, and sardines), oils based on vegetables and seeds (vegetable, sunflower, sesame and soy bean oil), and nuts and seeds. 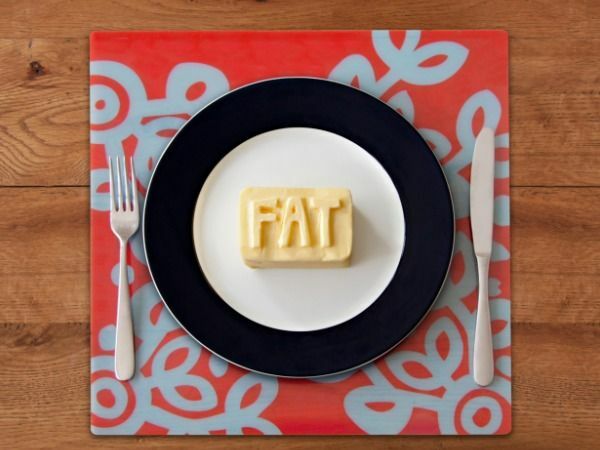 Saturated fats are commonly referred to as 'bad fats'. They are solid at room temperature and found in animal products, including meat, milk (full fat), cheese and butter, as well as products that include these as ingredients. Saturated fats can also be found in some vegetable-based products, including coconut oil/milk/cream and palm oil. A high intake of saturated fats increases levels of LDL cholesterol in the blood, and is linked with increased risk of cardiovascular disease. Trans and hydrogenated fats have a double whammy of effect, increasing both total and LDL cholesterol and lowering the good HDL cholesterol, thereby putting you at greater risk of heart disease. 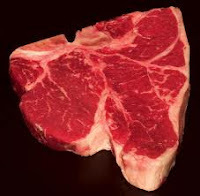 Some trans fats occur naturally in foods in very small amounts, and these include red meats (beef, lamb, veal) and in full fat dairy products. Most trans fats are found in artificial sources, such as those used in the manufacture of cakes, biscuits, pastries, and pies. Trans fats have no known benefit to health, and should ideally be avoided. Actually, no. It is an excess of total energy that leads to weight gain – eating more than you use. In terms of weight gain, it doesn’t matter where these calories come from – fat, vegetables, carbs, protein… if it’s more energy than you need or use, your weight will increase.The main reason that people associate fat with weight gain is that fat is energy dense – it contains 9 kcal per gram, the highest energy content of the macronutrients (carbohydrates, proteins and fats). So it can be easy to over consume calories without an obvious increase in the amount of food you’re eating. It's hard to deny that it can play a role in gaining weight, but if accounted for within a healthy, balanced diet, there’s no reason to blame weight gain purely on eating fat. Enjoy the fat that you include in your diet! • It can taste nice – who doesn’t like a piece of hot buttered toast? • It’s enjoyable – see above! Hot buttered toast! • Fat contains essential vitamins and is a good source of energy. your daily intake to avoid weight gain. • If you’re trying to lose weight, reducing high fat foods can save you lots of calories. 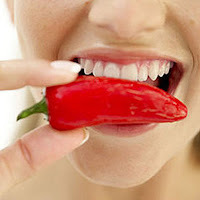 increase your risk of cardiovascular disease, stroke and several cancers.